I was on Twitter (the new hype, get on it! haha) and was looking at who was following me and I came across this guy named Michael Perry, a video blogger on Vimeo from San Francisco. 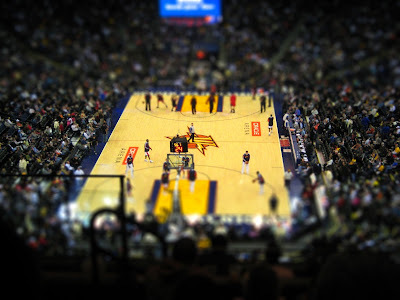 On one of his blogs he showed a photo that was created with a tilt shift technique. It basically makes images look miniturized due to the shallow depth of the photo. 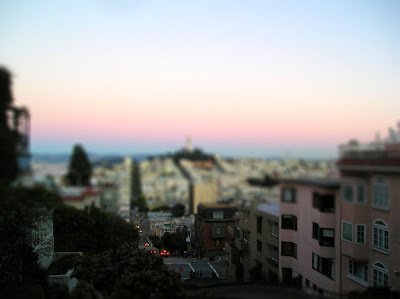 He mentioned Tiltshiftmaker.com where you can upload a picture and create a tilt shift image. So of course I had to mess with it. It may be the “easy” way, but why not?! It’s for fun!